January 2014 brought heavy snows and excellent skiing conditions. We visited Ann's brother Greg and is wife Annie at their ranch in Grand Junction where we had a beautiful sunrise on the Colorado Monument - main photo. 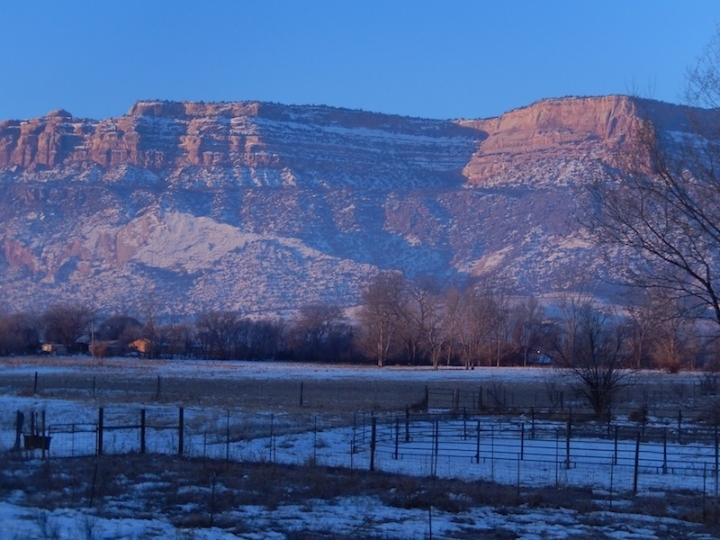 Our trip from Summit County to Mesa County took us thru some beautiful country from Vail Pass to Glenwood Canyon, and down the Colorado River into Grand Junction - see photo image gallery.